CheetahDigital is a cloud-based marketing platform that provides industry-leading email capabilities to help their clients build data-driven, relevant relationships with customers. CheetahDigital offer expertise, speed, scale, and flexibility to power the delivery of more than 10 billion monthly emails, worldwide. CheetahDigital goes beyond email, offering mobile messaging and light social marketing capabilities to reach customers through multiple channels with precision. SaleCycle is a proud partner of Cheetah Digital. Our direct API integration allows all of your messaging to be dispatched side by side. Together we aim to enhance your user’s experience and not overwhelm them with too many messages. The result? 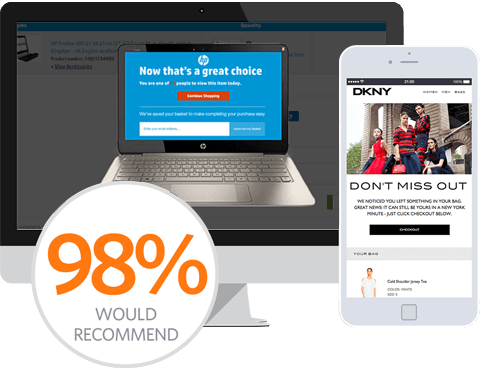 An improved customer journey with increased conversions. Combine solutions for better campaigns through our robust Integrations. Produce timely, relevant and high-performing cross-channel campaigns for each individual customer. Access all your data from the Cheetah Digital platform.